We’re very excited to invite you to our once a month Printing and Prosecco evenings. We hope one of our themes will get your creativity flowing. You will be taught how to transfer a design and cut a one-colour linocut, producing a multiple prints to hang at home. 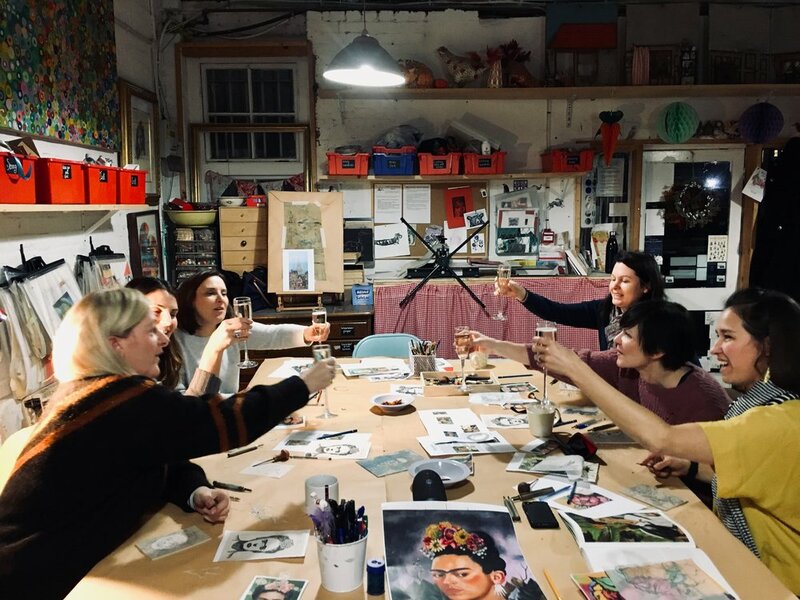 During the evening you will meet new people, enjoy a glass of prosecco and learn a fantastic new skill. Cant make these dates then we also offer private Print and Prosecco Nights - Date and Artist of your choice - Get in touch!